BRYAN EATON/Staff photo. 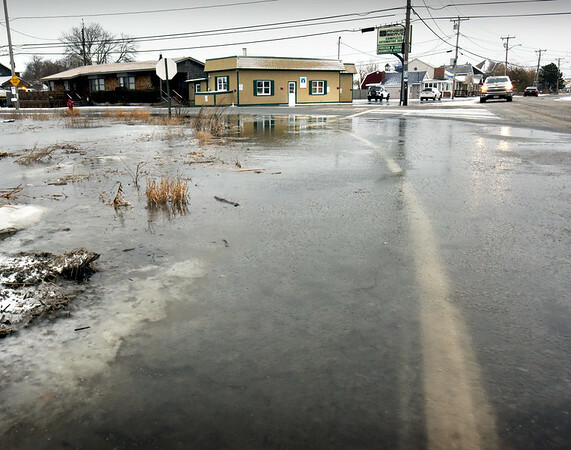 Tidewater overflows onto Plum Island Turnpike at Old Point Road during Tuesday morning's high tide, the effect of the Super Moon. Wednesday's tides should also be affected, though the sky will be clear.